The Anna & Elsa dolls are a cute size perfect for a child's hand. 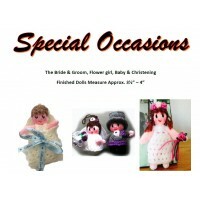 The finished dolls should measure approx. 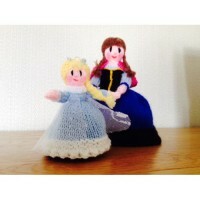 4.5" - 5"
The Anna & Elsa Topsy-Turvy Doll Knitting Pattern 2 sizesapprox. 7” (18.5cm.) & approx.4½” (..